Family | Cats | Caffeine | Entrepreneur | Investment | Geek You can contribute your thoughts like Jefferson here. a basket of assets like an index fund. Unlike mutual funds, ETFs trade like a common stock on a stock exchange. This means that ETFs have higher liquidity and trading volume. Or put simply, easier to buy and sell. For example, an STI ETF tracks the top 30 companies in Singapore, which consist of familiar names like DBS, OCBC, SingTel etc. Take note that the holdings and sectors tracked are subject to change – those reflected above are correct as of writing. However, as heavily debated in the SeedlyQnA Community just betting your life’s investments on the growth of Singapore is arguably myopic, but more importantly undiversified. For today, we shall look at ETFs tracking other markets and how they can help you in your investment journey. A good example would be the S&P500 Index which tracks the growth of top-performing US companies across various industries like IT, finance, and entertainment. You can read more about the importance of diversifying your portfolio overseas, where we discuss how doing that improves your investment outcome. 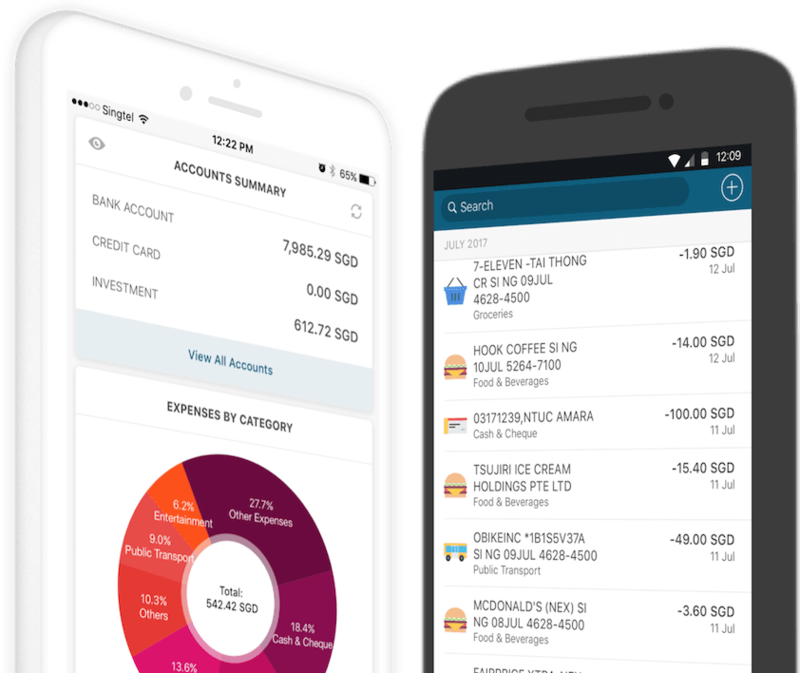 By the way, have you considered using our Free Seedly Personal Finance App (iOS and Android) to manage your expenses and sync all your bank accounts together? The costs associated with ETFs are minimal. The bulk of it goes to the transaction fee incurred when you buy a stock of that ETF. Other charges can be seen in the expense ratio, which is the annual fee that all funds or ETFs charge their shareholders. It expresses the percentage of assets deducted each fiscal year for fund expenses like the (minimal) management of it. Also, picking a mutual fund that will beat the index is really difficult. It feels more like a gamble than a calculated investment. What Should You Look For When You Buy An ETF? This is important as you will want to diversify your holdings by BOTH regions and industries. Holding only Nikko AM ETF exposes you to only Singapore stocks. Conversely, holding onto only Vanguard VOO ETF exposes you to only US stocks. The most ideal scenario is: You want exposure to both. So in the unfortunate event that one market tanks, your holdings in another market should still help you weather the storm. The expense ratio is a really critical component as this can eat into your returns over a long period of time. Note: to simplify this we’re going to ignore foreign exchange rates, withholding tax rates, and etc. The conclusion is clear: a high expense ratio can easily cost you half a million ($562,951) over a period of 30 years. For perspective, that’s money that can go into buying an HDB flat. How To Buy Low-Cost Global ETFs? For an ETF that is listed on the US stock exchange, like the New York Stock Exchange or NASDAQ, you’ll need a broker to access these markets. You can check out this list of online brokerages in Singapore, some of which allow you to buy global ETFs and the likes. If you have more questions regarding how to buy global ETFs or which ones are good for beginners, simply head over to the Seedly Q&A and ask away! Just another quick shoutout Free Seedly Personal Finance App (iOS and Android) to manage your expenses and sync all your accounts together?